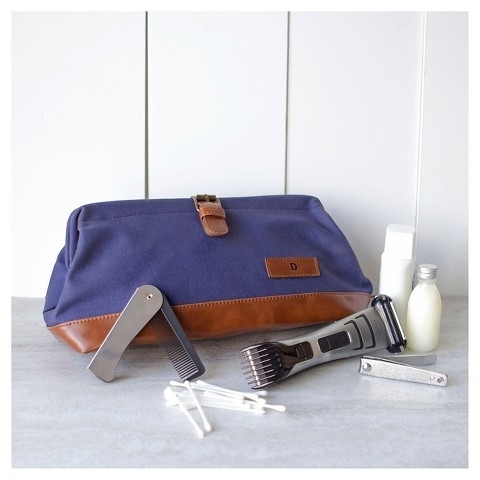 Pack your toiletries and other grooming essentials in style whether you're jet setting on a vacation or just freshening up after the gym. 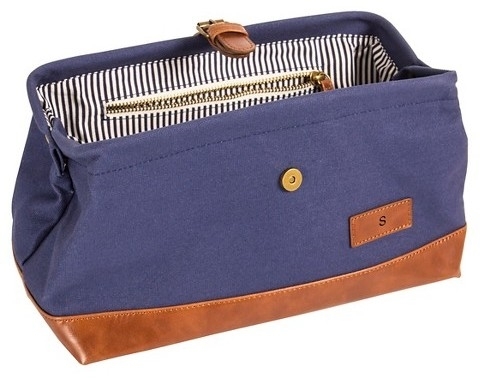 With this Monogram Travel Dopp Kit Toiletry Bag from Cathy's Concepts, you can keep all of your hygiene essentials organized and close at hand. 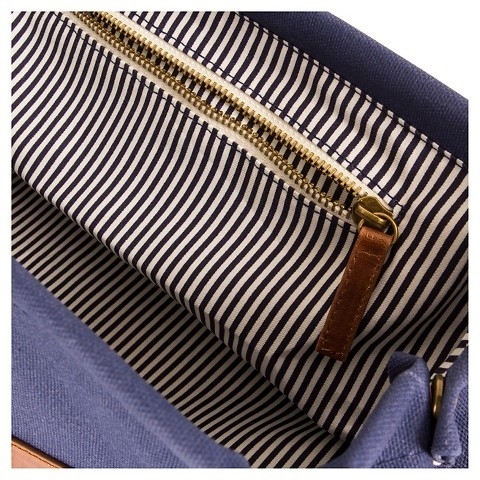 Interior pockets and a brown faux leather button clasp help keep your items organized and securely inside, making this canvas dopp kit perfect for throwing in an overnight or gym bag. With classic navy and brown colors and multiple monogram options available, it's also a great choice for a handy groomsmen gift or a useful stocking stuffer for him.